I know some of you have already gone back to school, and you know what that means? Halloween will be approaching fast! If you're looking for some Halloween costume ideas, I have rounded up a couple of my own ideas and many terrific Halloween costume ideas for teachers from around the internet! The ideas that folks come up with are so creative! Also make sure to scroll down and grab a Halloween teaching freebie! First, here I am dressed as a 100 year old lady for the 100th Day of School! Why couldn't you do the same, but on Halloween. It was easy and my only money spent was on the wig and about 5 years ago I bought a cane so I keep that in my closet at school - very handy! 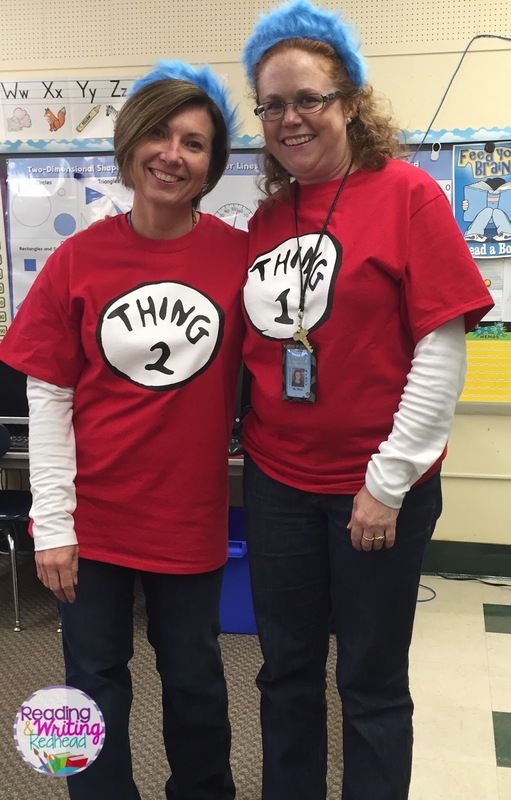 Get with a buddy and be Thing 1 and Thing 2! Here is my teaching buddy and I being just that two years ago! I even saw that you could get decals to make your own Thing 3, Thing 4 and so on shirts! I got the shirts pictures here from Amazon and this is the headband we got, too! If You Give a Mouse a Cookie costume! Cute and easy idea from The Reading Room. Click on the pin and any pin below to learn how to put it together! 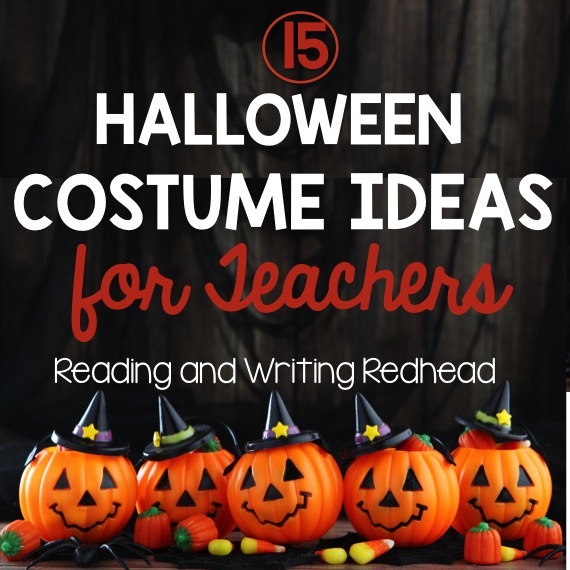 Another clever book character costume idea - this one from Angela Watson's The Cornerstone for Teachers. An adorable one suggested at The Cornerstone for Teachers is this Grouchy Ladybug getup! SIX Also found this super fun idea for Where's Waldo's costumes, and a family who wore them all at that! The idea was originally here. Not sure of the origin of this one but it sure is clever, easy and a great group costume idea! This clever idea was from the blog Couldn't Get Michael Kors. I love my Starbucks! This would be great for me! Here's a great DIY popcorn costume idea from Studio DIY! You could be a giant emoji for Halloween like this gal! I was the Grammar Police for Halloween a couple years ago but I couldn't find a picture. I bought the T shirt from Amazonthat this lady has from Amazon, and a Police hat, sunglasses, and plastic handcuffs were all I needed! Miss Viola Swamp costume from the book Miss Nelson is Missing! There are a ton of ideas for Ms. Frizzle costumes out there! Here's just one to inspire you! Looking for a healthy costume? Try this salad costume! Totally doable for an adult! This is adorable, but less healthy - from the blog Cute Girl Hairstyles. And how about this last one? Are you a Snapchat addict and love their filters? Well you could turn yourself into a real life filter with something like this! Don't know where the original went but I bet you could buy or make one! Now, here's your Halloween freebie! 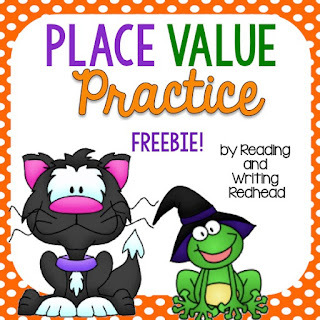 Help your kiddos practice place value with a fun Halloween theme! Click here or on the image below to grab it! If you love the freebie, check out the full pack here! 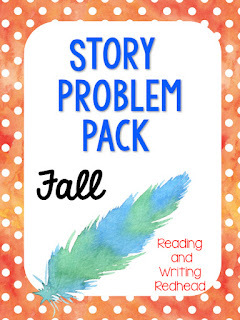 Also, if you're looking for something else Halloween or fall themed for your class, check out my Fall Themed Story Problem Pack! Plenty of addition and subtraction practice for your students! 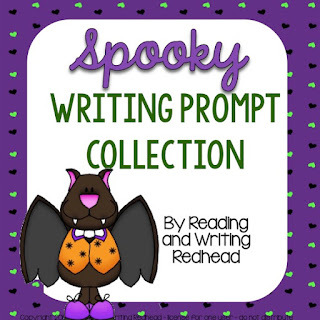 Also this Spooky Writing Prompt Collection is not Halloween themed, but perfectly spooky for the season!